Here you will find Målfrid’s entire baby knitting patterns gathered in a table (below). The patterns are up scaled from a selection of her popular doll knitting patterns. That way you now can enjoy dressing your baby and your doll with similar clothes. 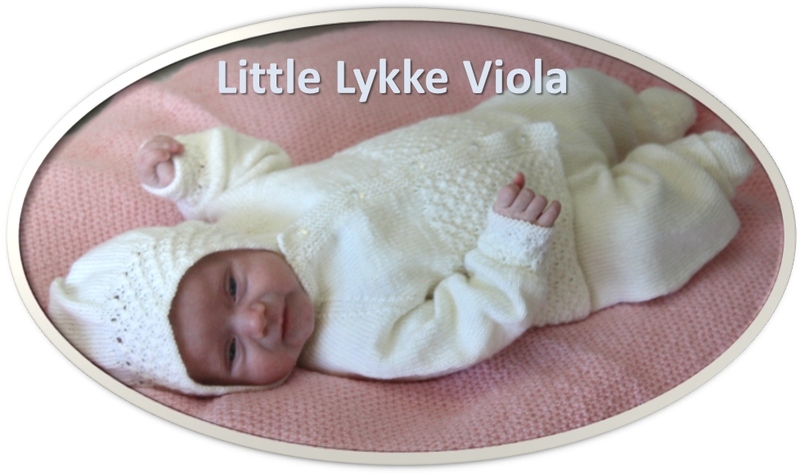 Our first baby knitting pattern got published November 2012; however we look forward to show you more lovely patterns. Maybe you are a mom, who enjoys knitting lovely clothes to your baby, or maybe you are a grandma or a friend, or you are knitting for charity. 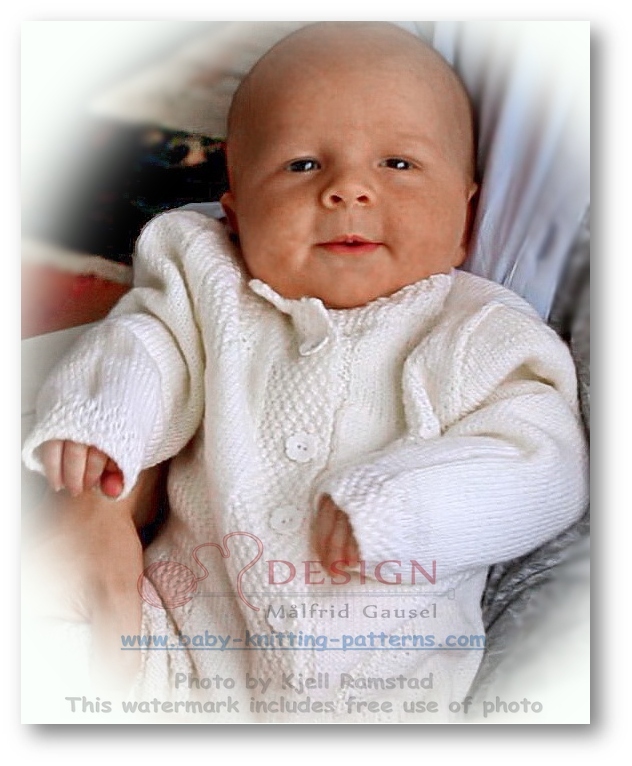 Anyway, we hope you will like Målfrid's baby knitting patterns, and that you will find a pattern that fit to your special baby, have fun when knitting it, and feeling the pleasure and pride in the finished result, a beautiful baby dressed in lovely baby clothes. 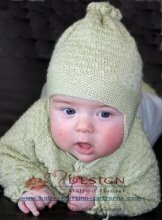 Each baby knitting pattern has its own special page where you can view more (detailed) pictures of the finished knitted garments. You may find it helpful when you knit. You get to the product page by clicking on the images in the table below. 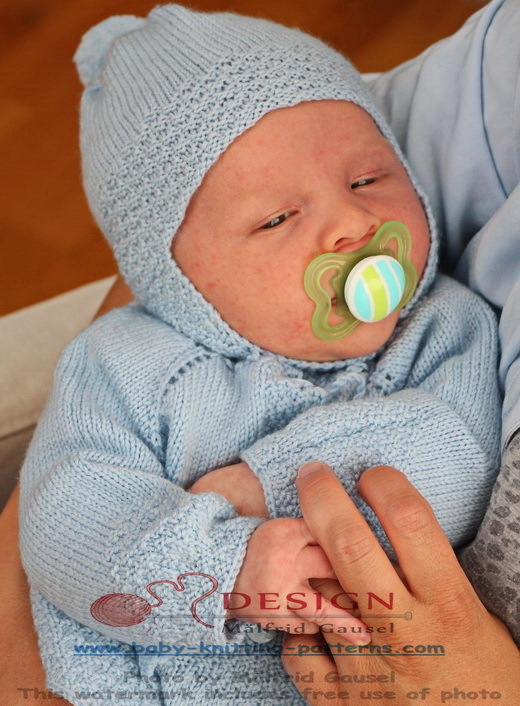 When a baby knitting pattern gets published, we first offer all our subscribers to buy the pattern for an extra low price, sometimes as low as 50% off. After three days we put the pattern up at this page with regular price. Subscribe to the newsletter and give yourself the opportunity to purchase the patterns to an extra affordable price. You can always unsubscribe by one click on the link that follows each newsletter, very simple. The site gets visitors from all over the world as the price is in US dollar. Because of fluctuations in the currency, the price in all other currencies than dollar will vary a little from week to week. You can always check the exact exchange rate and price by using a currency converter. When you pay the system will automatically convert dollars to your own currency. Click the images below and view more photos in the Photo Gallery. (cont) ... so pay special attention to avoid closing the page unintentionally. Do not worry if things are still mired, at that time, we have already sent you an email with the same information and a link to download your pattern. Problems with downloading or opening pdf files? We use standard problem free pdf files. Problems are usually caused by not using the newest version of Adobe reader, it can be updated for free here. Patterns in English, Norwegian, German and some in Dutch. Our patterns are written in English, German, Norwegian and sometimes also in Dutch. Don't print all pages, print out the section with your language only.